Neil Froese is a retired teacher residing in Ontario with his wife, Eileen. Growing up and living in southern Manitoba in the 1950’s to the late 1980’s, Neil’s interest in trains was piqued by the visual and sound drama of early Canadian Pacific steam on cold, crisp winter mornings as the trains would dutifully deliver most anyone and everything to and from the towns and villages in southern Manitoba. The CPR station with its “agent” was the commercial and in many ways, the social hub of prairie towns until 1950’s when train passenger service was terminated as more and more persons choose the independence of the automobile and the use of better highway infrastructure. However, a pre- Christmas winter ride on the CPR passenger train with his mother and brothers from Mather to Winkler in the 1950’s to spend time with the grandparents was “as good a gift as was needed” as far as Neil was concerned. To a young boy 8 years of age, It was a great, unique experience – always to be remembered! In September, 2006, CPR served notice of “Sale or Discontinuance of Rail Lines” between Morden and Killarney. Neil, and Charlie Baldock, Bill Reimer, and Penny Burton representing the Boundary Trail Heritage Region, http://www.contactmb.org/record/VMB1470, were involved with the towns and municipal governments located along this section of rail line for the purpose of rail line retention and purchasing the line from Canadian Pacific Railway. Six meetings were organized in the towns of Morden, Manitou, Crystal City, Pilot Mound, Cartwright and Killarney for the purpose of purchasing the rail line in order to maintain rail infrastructure for community economic and possible recreational purposes. This initial endeavor was unsuccessful, but from this evolved a more successful, concerted effort by Rail West Management and interested investors to form Manitoba’s first producer owned shortline in 2008, – the Boundary Trail Railway Company based out of Manitou, MB. 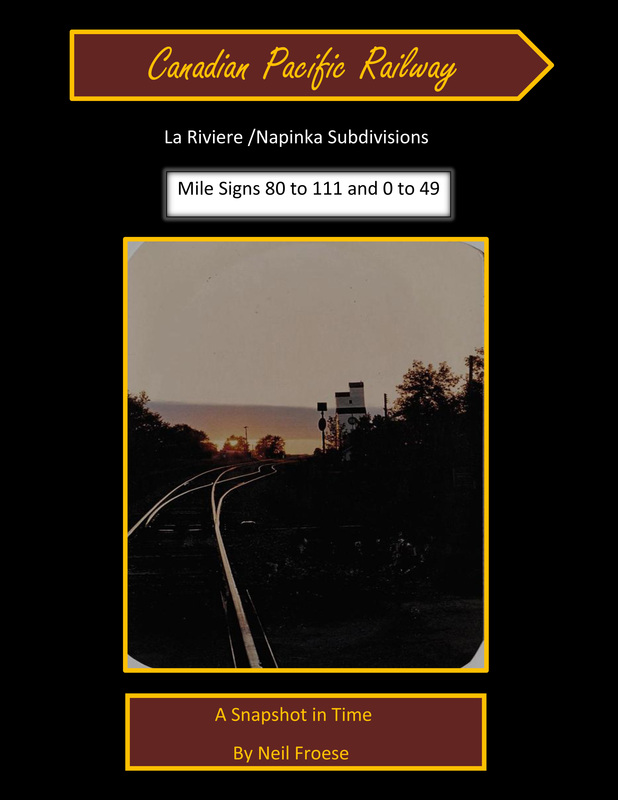 Because a significant portion of the line was salvaged, Neil decided to record as much information as possible in the form of pictures and so comes this record of what once was of a an 80 mile section of an important CPR branch line that served more than a dozen southern Manitoba communities. Neil is a member “CP Tracks”, A Publication of the Canadian Pacific Historical Association, as well as a member of “S Canada” which is a group of railway hobbyists dedicated to the promotion of 1/64″ scale railway modelling. Neil enjoys reading books about the Canadian Pacific Railway and is modeling a small portion of this railway line in “S scale”. Other pastimes include following train blogs and videos on line, reading, canoeing, hiking, skating, rail trail biking, cooking, and going for walks with Eileen.